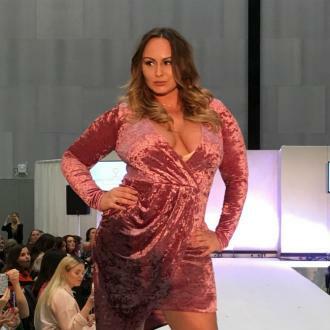 British TV star Chanelle Hayes has revealed that her sons have given her the desire to keep living. Chanelle Hayes says her sons have given her the desire to keep living. The 30-year-old TV star - who has sons Blakely, seven, and Frankie, who was born in August last year - admitted that her physical and mental health deteriorated rapidly in the wake of her split from ex-boyfriend Ryan Oates in 2017, but Chanelle revealed her boys gave her the encouragement she needed to keep fighting. She confessed: ''Thank God for both of my boys. Chanelle's weight increased in the aftermath of her love split and her anxiety - which she's suffered from for years - started to take hold. But the former glamour model - who has Blakely with soccer player Matthew Bates - has successfully managed to turn her lifestyle around. Appearing on ITV's 'This Morning', Chanelle explained: ''I've always had anxiety for a number of years, but it got so much worse, to the point where my mum and dad were so worried about me. The former 'Big Brother' star admitted that losing weight and feeling healthier had given her a new, more positive outlook on life. Chanelle has rediscovered her self-confidence over recent months and she's now looking forward to the future.